The Spanish monarchs opens Malaga Airpot T3 | Marbella Marbella – Adelante! 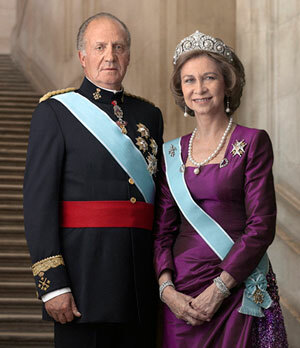 King Juan Carlos II and Queen Sofia attended the opening of the new third air terminal at one of the busiest airports in Spain – Malaga Airport. The Spanish monarch in his speech congratulated all those, who have participated in the creation of a new terminal, and expressed the hope that from now on Andalusia in general and Malaga in particular will get an additional impulse in the development of relations with the other countries. King Juan Carlos made special mention of the architecture of the airport, which he described as “light, bright and vibrant”. Malaga airport is called “the gateway to the Costa del Sol”. The major part of tourists arriving on a vacation to famous “Sunny Beach” passes exactly through its corridors. The handling capacity of the new air terminal will be about 30 million passengers per year, and that will optimize the performance of the airport, which during past few years struggles with the increasing flow of tourists. The third terminal has practically doubled the capacity of Malaga Airport. It previously was 4500 persons per hour. Henceforth, the number of passengers that can be serviced at the airport has risen to 9000 people. The cost of construction of a new air terminal amounted to 300 million euros. From now on, it will be much easier for tourists coming for vacation at the Costa del Sol to find a taxi, take a bus or rent a car. In addition, it has became more convenient to get to the railway station of Malaga, where fast trains departure to one of the main resorts of the Costa del Sol – Fuengirola. However, the passenger building itself is not yet ready. Its construction is planned to be completed by the end of 2010. Anyways, the new air terminal has more convenient infrastructure than the other 2 terminals of the airport. It should be noted that the third terminal will service the flights of major national airlines like Air France and British Airways. The passengers of budget airlines will be serviced at the second terminal of Malaga airport. The first flight from upgraded Malaga Airport has already taken place. It was a flight Malaga-Barcelona, which has depart at 6.50 in the morning.